My husband’s health insurance uses an online pharmacy that dispenses 90-day prescriptions for the normal price of a 30-day scrip, so we try to use it whenever possible. However, one of my husband’s prescriptions ran out without us noticing. This meant I had to fill it at our nearby Walgreens. So me being me, I was kicking myself and chalked it up to paying the dreaded stupid tax. I stopped off this morning to pick up the pills and was presented with a bill for $1.04. $1.04! So all my angst was for nothing. Such a ridiculous waste of self flagellation. I listed two items on Craigslist and one item on eBay yesterday. No interest so far, but all it takes is that one person who wants my things. Good stuff, so I should pocket a few extra bucks. I gassed up my Prius yesterday, as the fuel ticker was flashing on and off. (Not good.) Sadly I was too far from Costco to get the cheap gas, so I resignedly pulled into my local 76 station. My eyes were drawn to a placard about free tickets to Portland Thorns (women’s Major League Soccer) games when you filled up your tank. I asked the attendant about it and he gave me two vouchers good for four free tickets! My family already has two season passes, but this means all four of us can attend a game together, and then sell our other tickets! So buying the pricier gasoline potentially garnered me an extra $20! Baby, I got hustle! We are finishing up emergency medical services (EMS) week, and my husband’s employer is hosting a free barbecue tonight. Nothing fancy, but we’ll all drive down for a nice low key and free meal. I do love taking a break from figuring out dinner once in a while! Last night’s dinner was homemade pizza. However, I had no canned tomatoes on hand, so I knew I’d have to make a reluctant trip to the grocery store. But then I remembered that I had a jar of kale pesto in the back of the fridge. I went ahead and diluted the pesto with a drizzle of olive oil and used it in place of tomato sauce for a delicious yet lazy solution. I was able to stay away from any grocery store temptations and support my lifestyle as a secret (and generally unsuccessful) agoraphobe. As a wastehater, glad to see someone save up their self-flaggelation to use more appropriately. Saving it up for bigger issues. 1. Checking out Mr. Money Mustache’s blog. Have you read it? 2. Went over and met the new neighbors. Happily accepted a bag of shorts their 4 year-old has outgrown for my (large) two year old. 3. Started drying smalls amounts of left over spinach, parsley, and green onions instead of composting them. I keep them in a jar and use a pinch in my morning egg scramble. 4. Practicing our summertime rituals for saving energy: opening windows on north and south sides of the house at night to cool the the house off with a nice cross breeze, closing the windows in the late morning to trap the cool air all day, keeping the south-facing window blinds shut all day, keeping the north-facing blinds up for sunlight (and keeping the electric lights off). I’ve checked out MMM a few times, but it somehow rubbed me wrong, although I don’t remember specifically why. 1. In the never-ending battle to pay off debt, I upped the auto-drafted payments for both credit cards, saving us money on interest over time. I learned last year that bills are much more likely to get paid consistently if don’t have to actively remember to pay them! 2. My husband, who has lost 100 lbs over the past 18 months (woo hoo! ), desperately needed a new belt, as he was on the last hole of his existing belt and it still couldn’t keep his pants up. I found an almost identical leather belt in his size at Goodwill for just a couple bucks. I also found a bathing suit for him, as his primary cardio routine is swimming and the chlorine just eats away swimsuits. 3. I only have lunch plans on Sunday, so I plan to spend most of the long weekend at home working on any of the 5 million projects I have going on at home. This will mean I am not out spending money on other things, other than groceries, since we will need to eat at some point ;-). It will also be lovely to get some things taken permanently off the “to-do” list. 4. I am debating on holding onto my young boy stuff that we no longer use for the large city-wide kids consignment sale in July, or just letting the local consignment store take what they want (for much less money) and donating the rest. On one side, money, on the other, decluttering. I’m thinking I’ll go with money, though, since we do have debt I would love to continue to chisel away at. 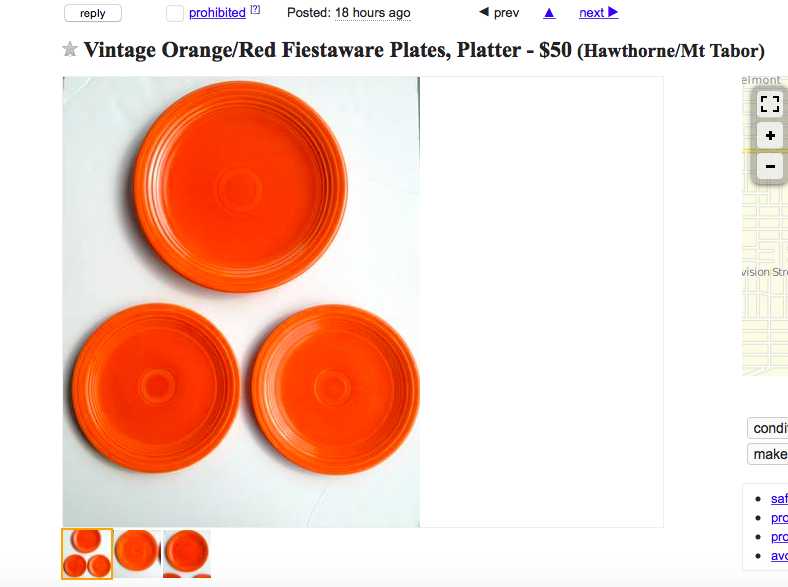 Wished I lived closer to snag those awesome orange Fiestaware plates! Hey, fun Fiestaware fact: the orange plates have uranium in the coating. That’s what gives them the orange hue. Hold a Geiger counter up to one sometime and listen to it chirp! I grew up in Oak Ridge and they used those plates to explain the difference between “radioactive” and “contaminated”. “Radioactive” things give off particles but the radioactivity is non-transferable, like a glow-in-the-dark watch dial, or Coleman lantern mantle. Contamination is when the radioactivity sticks. Oh! The plates are radioactive, not contaminated. Don’t want anyone freaking out! LOL! They have a piece of the red Fiestaware at our local children’s science museum and a ginger counter so you can watch it chirp away! The orange plates were called red by Homer Laughlin Company when they were released in 1936 and are known as Fiesta Red to most Fiesta collectors. During WWII that color was taken out of production due to the government needing the uranium for the war effort. The glaze was reformulated after WWII to use depleted uranium oxide. I’ve been a vintage Fiesta collector since I got out of college 35 years ago and I used to be a dealer that specialized in dinnerware from the 30’s-50’s and focused on HLC’s tableware. Jill do you still live in TN? My son will be a freshmen at UT in the fall studying Nuclear Engineering so he will probably end up at Oak Ridge at some point for internships or job. Do they have tours for the public? We are coming for Freshmen Orientation next month and would love to check it out. Yikes…twice? And you are so young. Stupid cancer. I’m impressed that the 90 day script by mail gets you the med for only 1 normal co-pay. When I was ordering Mom’s before she passed, she paid 2 co-pays for 90 days worth–but since her co-pays where pretty high, she still saved quite a bit. Her lowest was $22. I haven’t even checked on mail order for our meds, since our co-pays are $0, $1, $5. At least until the new contract is negotiated. They have been chipping away at benefits but I am a retiree, and they’ve only taken little bits from us so far. This co-pay is HUGE for us–we take a lot of meds, despite being healthy, because we have some chronic things that are on-going. 1) No breakfast or afternoon school snack purchases before dog walking today- yeah! 3) Worked on earning some Swagbucks while working. 4) Thank you God and the federal government – tax money in the bank today. Paid the rest of this month’s mortgage payment saving on interest owed and transferred the rest to a higher interest savings account. 5) Buying Little Caesars pizza for $5 tonight even though I prefer the more expensive places. Also got 5 for $5 on 2 liter coke products this week saving on spending over twice as much at the pizza place. 1. Let my husband take the car today, which saved us on gas and gave me time to sleep in AND get some stuff done around the house. 2. Went to the humane society sale with him after work; where we bought a pair of speakers for the patio (50 cents), three nice pieces of baby clothes to put with my ThredUP bag that I’m slowly filling (30 cents), two ziploc bags of odds and ends for kids and a package of pencils that we can put in the Operation Christmas Child shoeboxes in November (30 cents), two books in like-new condition I can sell on Half.com and one to donate to the school lobrary (75 cents), a wooden “V” wall hanging for my granddaughter, Vera (10 cents), a cool Asian-looking wrought iron candle stand and a small Chinese brocade purse for my Asian-loving daughter (20 cents), a big zippered container of glow-in-the-dark stars and planets (both the stars and the zippered bag for the OCC boxes – 10 cents) and a tiny wire sieve which my husband wanted – why, no idea (25 cents). 3. clipped all the greenery off some sprouted onions that were mushy and diced the sprouts up to cook with zucchini tonight. 4. Made a list of books that interest me and will spend some time tonight either reserving them at the library or requesting them on ILL (inter-library loan). Love my library! 5. Finished listening to my current book on CD while working in the kitchen and will start another one tomorrw, both library loans. I had a very bad Thred Up experience. I sent in a Michael Kors suit jacket and got $0 credit for it. They don’t do returns either unless you pay some dumb fee beforehand, which I hedged my bets against needing. No idea what happened to my suit jacket but I find it hard to believe that no one wanted it (probably sold off the site or something). #1.My sister has been visiting for the past week and we ate all but one meals here at home. #2. We saw “Woman in Gold” for $5.25 at a senior showing. #3. Went to the second run theater and saw “The Second Best Exotic Marigold Hotel” for $2.00 each – not necessarily for the movie but for the fabulous art deco theater! #4. Another sister gave me several annuals that needed lots of sun that she can’t use and those will help fill the front flower pots. #5. Had a garage sale last Saturday and used $200 of the money made to buy light kits for our (then) non-working outdoor post lights. My husband did the repairs. We had received a $800 bid earlier in the year with no guarantee that the work could be completed within that bid. Both are lighting our no street light street! 1. I am working on the yard doing most of the work myself. I bought a 1950’s cottage that was owned by 2 old sisters who managed to plant every tree, shrub, and flower on earth in the backyard, and also managed to terrace every bit of slope available in old concrete walls and allowed the weeds to grow! I have transplanted some of the flowering bushes, got rid of a horrible looking fence, lots of volunteer trees, and will be busy transplanting bulbs when they are finished flowering. Whew! Some days I am tempted to just call a lawn service, but I haven’t yet. 2. I found a wonderful sale on a personal product that my 95 year old mother uses, so I was able to stock up. The store where I shop also gives reward points (money off the bill) so I used that. I figured I only spent $35 on $100 of stuff. 3. I found a part time job where I only work 12 – 16 hours a week (I am retired). Money will go directly into savings. 4. Now that I have a house, I can wash and vacuum out my car myself. 5. I did not buy the new windows or siding that I was planning on. I decided that I like the way my yard looks and it makes the home look nicer. The original siding is fine, the window trim needs painting but I can get that done later. Two of my prescriptions and both my husband’s are now free at Target! I was super thrilled when I learned this fact. I have another script waiting at Target so we’ll see if I can keep up the free medicine! I’ve also decided Netflix is my new favorite network. Their original series shows are awesome and totally make up for the lack of cable that we canceled 4 years ago this month! 1. I have been doing lots of yardwork here. It takes 5 hours to mow with our gas powered push mower. Great exercise. I do most and my DH contributes on the weekends weather permitting. (I am a SAHM). 2. My neighbor brought over some extra petunias and a few magazines. I potted the flowers and added them to our deck. 3. My other neighbor is storing some of her perishables in our fridge as hers conked out. I am happy to help her prevent food waste! 4. I composted our rabbit’s waste and soiled litter, rather than throwing it in the garbage. I also compost all kitchen waste, including wax paper. I stopped buying plastic wrap. 5. I am line drying and cooking lots from scratch. My latest tasty experiment: pretzels. Yum. 1. It is truly worthwhile to do some research before filling prescriptions. My husband is currently taking some medication which is only 50% covered by our insurance. 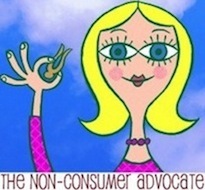 However, we spent a few minutes on-line and came up with a coupon which covers the other 50%. So it’s free (atleast until June 30 when the coupon expires). 2. We found that a mouse has gotten into a cabinet under our countertop cooktop. There is no food stored in that cabinet, so nothing really lost. However, we have to find a way to keep him (or her) out. I am going to try the least expensive option first: peppermint oil on cotton balls which I will place in the cabinet near the vent (it look likes he comes in thru the vent). If it works, it will only cost $13.49. 3. My husband and I found the “Inspector Lewis” videos at the library. we plan to watch them this weekend. 4. Volunteered to work on an out-of-town project next week. This means I will get mileage reimbursement and per diem to cover all meals for at least 3 days. 5. Continued to read everyone else’s frugal ideas which I really enjoy. 1. Today my DH and I spread old hay around our tomato and pepper plants in the garden. Free mulch means less weeds! 2. When we planted the 33 tomato plants we used our own mule manure. Free manure means bigger tomatoes! 3. Later this summer I will be canning lots of tomato juice, tomato sauce, salsa, ketchup, V-8 juice, and spaghetti sauce. Free tomato products means less groceries to buy! 4. I line dried most of our laundry this week. Free sunshine means less electricity use! 5. Our grandsons and DH caught several fish from our pond. They filleted them and I cooked them for supper. Free fish means a delicious meal! Terry, you had me at “free mule manure”! Su Mama, lol! We pile it up at the back of the field and let it sit for a couple of years before we use it. It’s black gold and full of earthworms! I wish I lived closer to you! I’m in Indiana. A little too far for you to bring your pick-up truck! 1. I got “The Prize Winner of Defiance, Ohio” out of the library. I’m really enjoying it. Thanks for the suggestion. 2. I was able to go more than a week without running the dishwasher. 3. I found 12 cents in the last two days. 4. I put flannel sheets back on my bed because it has been cold here at night this past week. 5. Meeting a friend who is in town for coffee in the morning instead of breakfast. 6. I was actually able to get thru almost the entire month without filling the gas tank in my car. 1. Took a big bag of wire cable to the metal recycler and a couple bags of aluminum cans. Got $25. The wire cable comes from DH’s job as an IT specialist and would normally go in the trash. 2. Picked up 3 bags of Shasta daisies and a bag of sedum from a Freecycler that lived close to the metal recycle place. I love free plants! 3. Received a rebate check in the mail from Staples for $2.80 and my Country Living magazine I get free thanks to Coke Rewards. 4. Found a dime on the floor at the grocery store last night and 73¢ in the washer today. One of these days my family will learn to empty their pockets. Must say I enjoyed finding the coins in the washer much more than the green crayon I found in the dryer last weekend! :-O Not fun! DS#2 now has green flecked underwear but I did get it out of all the other clothes with GOOP hand cleaner. I figured no one sees his underwear so I wasn’t putting forth all the effort to get the crayon out and maybe it will remind him to clean out his pockets after work. 5. Combined a sale, a instant cash back offer and coupons to get 4 boxes of 100 count Lipton tea bags and 2 containers of Breyers Ice Cream for less than $8. The great thing is the boxes of tea bags were a bonus pack with 25 extra tea bags. So 100 extra tea bags is like an additional box for free. We drink a lot of ice tea in the summer! 1. Worked from home today, which saves money on gas and saves me needing to put on real clothes (ok that part isn’t frugal unless you consider the minuscule savings on laundry). 2. My teenage daughter wanted some clothes for warmer weather and she requested Goodwill (yay!) where she found several tank tops and some jeans. 3. Grocery shopped in the bulk section, buying smaller amounts of things I know I’ll use in upcoming meals (lentils, cashews). 4. Received a refund check for $20.10 from my insurance company. I recently insured my daughter to drive, but I noticed an error on the policy that increased the premium. I called them, and they fixed it. 5. Looking forward to a relaxing weekend that won’t involve spending much money. I’ll cook at home, and do a couple of day hikes. Continuing to stay out of stores….the best money saver for me. Yes it is. Simple, yet effective! 1. I walked up to the grocery store to buy bananas. It was $1.11 for the bunch. I found $.98 during that walk, so almost free bananas. 2. I seem to be coming down with a summer cold. I am drinking water with cayenne and a bit of orange juice in it, trying to fight back the irritation in my throat. I am also sucking on zinc lozenges (generic Cold-eeze). 3. I am using yarn that I already had to knit a toddler sweater, while I listen to a book on CD (borrowed from the library). The sweater will go into an international relief-aid layette. The organization dangles each layette item as a carrot to encourage pre and post natal care. 4. I re-booked a rental car for a summer trip. A few minutes of time meant saving $14/day. 5. I didn’t buy a Honda HRV, although I did test drive one. My 12-1/2 year car is working just fine, it’s still a good car. Love your almost free bananas! 1. I ate all my meals at home or got free meals at work or from the MIL this week. 2. Spent yesterday afternoon sorting through several big bins of hand-me-down clothes, 0-6 months, in preparation for baby #2. So great to have so many nieces and nephews just a few years older than our kids. I think I’ve spent less than $100 on my daughter for clothes since she was born, and she’s two. 3. In preparation for said-baby #2, spent some time researching freezer meals and making a shopping list. There’s not an Aldi in my town, but I’ll be working this week in a town where there is an Aldi, so I hope to stop by after work and stock up there. 4. Renewed some library books online to avoid the late fees. 5. I’m really trying to get the house cleaned and organized. Yesterday I cleaned the basement and found 2 big empty storage tubs that DH stuck in a corner. Which is great because they were on my shopping list. Love this blog and everybody’s comments! Thanks Katy! 1. I went grocery shopping at Safeway yesterday for some savings and for Mega AirMiles – got lots buying items we eat! 2. Then went to Shoppers Drug Mart and used my Optimum points to buy new brush heads for our Sonicare toothbrushes. 3. This morning, I went to our church garage sale and bought 2 checker games and a book for $2.00. I spent more on coffee and muffins, but I was supporting a good cause. 4. When we came home, I watered our vegetable garden and flower pots. I will finish planting the vegetable garden this weekend. ( I live in northern British Columbia – we have a short growing season, but it is still worth the effort!). 5. We will make and eat dinner at home, as we usually do! Do you ever babysit? It seems like it would be an easy way to earn some side income since your work hours are weird and I’m sure parents would love to hire you since you are a nurse. No I haven’t. My evening are precious and dedicated to the two boys who will soon fly away. These posts are the best! Everyone inspires me to embrace my inner “frugal weirdo” (thank you frugalwoods). Here are mine! 1.) Graciously took some awesome free stuff from my mom. We both declutter and end up trading things back and forth. We actually decided to switch desks, she has an awesome antique one and I have a revamped thrift store buy she likes. Win/win! 2.) Spent the afternoon after work with my husband working on the garden. Free veggies and free exercise, yay! 3.) Did NOT feel like cooking so while we were out buying some things at Home Depot (only bought the NEEDED things on the list) I snagged a 5$ frozen pizza at Shaw’s. Yes, not as cheap as homemade but cheaper than take out! 4.) Started a new grocery $ system. Take out 50$ every thursday, and when it’s done, it’s done! Food is my weakness! I love that you switched desks! 1. Bought some artists’/framers tape to fix a piece of art where the watercolor has slipped off the mat. Since I tend to find frames at yard sales and thrift stores, this will also make it easy to change out my own art on other pieces. 2. We’ve had gizmos installed in our cars the past few months to see if our driving habits warranted further discounts our insurance. Good driving = $50 saved in the next year. 3. Refilled Auvi-Q epinephrine injectors for two kids and was able to use manufacturer’s coupons for $0 co-pay! The kids wanted to switch from EpiPen because Auvi-Q “talks” to you (a calm voice is really helpful if you’re panicking); you SHOULD be able to get one that doesn’t expire for a year, but we hadn’t been able to so far. This time, though, expiration date 13 months out! 4. My mom asked me if I’d go to lunch with her and wanted to treat me. We seldom do this, so I happily accepted. My meal was so big I had leftovers that covered dinner that night and lunch the next day. 5. Kitchen drain backed up. My husband snaked it, which seemed to work. While I was cleaning the sink, water filled up and poured out of the downstairs sink (indicating that the clog just got pushed further down the line). Husband rented a better tool from Home Depot that cleared the line. Spent $30, but saved the cost of a plumber coming out on a holiday weekend. Adding 6. We’ve gotten A LOT of rain (which we desperately need). It’s cutting into my planting time, but I haven’t had to water the yard yet at all. 1.It’s getting super cold here in Victoria, Australia. I resisted turning the heater up and snuggled up on the couch with a warm blanket and slippers. 2. Free lunch at work 3 days this week. 3. Picked up an extra shift at work which also included free dinner. 4. Had some yummy potato, bacon and leek soup for tea one night that my mum gave me. 5. Received a rebate check for $62 from our national medical cover agency. 6. Baked a batch of choc chip cookies that I thawed out from the freezer. 7. Eating out of the freezer this fortnight. Meals so far include lamb chops and pork sausages, crumbed veal, chicken kievs, honey soy chicken wings (all with veg) and spaghetti bolognase. Yum! 8. Shopping around for the cheapest place to order international currencies for my trip to Europe next month. I’m down to deciding between 2 places at the moment. 1. We’re so glad the weather has been mild here in Tennessee. Most days we haven’t had to turn on the air conditioning except for a little while before bedtime. This saves us major bucks because our a/c system is old and expensive to run. 2. Today I cooked lentils and quinoa in the rice cooker, which I love because it doesn’t heat up the kitchen. The tiny green lentils sold here on the Latino food aisle of the grocery store cost about 80 cents a pound and will make many wonderful meals. 4. Today I have a load of light laundry drying on the drying rack in the laundry room. 5. Made a dozen apple-cinnamon oat bran muffins for my breakfasts that used up a jar of apple preserves as the sweetener/fruit in the recipe.